Marina Cabrini holds a Degree in Biological Sciences (University of Trieste). She attended a Master in Aquaculture (University of Udine) and is enabled the profession of biologist (University of Padova). First researcher at INOGS, her research is focussed on the biodiversity and ecology of phytoplankton community, long time series and microalgae succession particularly in response to climate changes. She is expert of taxonomy of toxic species included the contamination in shellfish. The research concerns also innovative technology systems for the automation in situ observations of microalgae and studies on renewable energy for the production of biomass for biofuel and other commercial and industrial applications. Recently she was the scientific responsible for OGS in the IPA Strategic Cross Border Cooperation project BALMAS (Ballast Water Managment System for Adriatic Sea Protection) focused on introduction of Non Indigenous Species. She has participated in several oceanographic cruises in Adriatic and in four Antarctica expeditions. 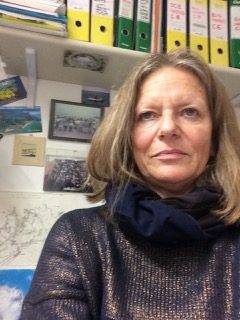 She is also responsible of national and international projects on ecology and biodiversity of phytoplankton community in transitional and marine ecosystems. Now in the section Oceanography, she is the coordinator of Marine Biology group. She was teacher in courses of marine ecology has collaborated on plans and researches with universities, schools and environmental agencies, followed several dissertation, PhD, master and coordinated many stages. Author more than 130 articles in national and international journals, she was also president of Plankton Commitee of SIBM (Società Italiana di Biologia Marina) and elected as member in Directive Council of SIBM for the period 2012-2012 and subsenquently 2013-2015.